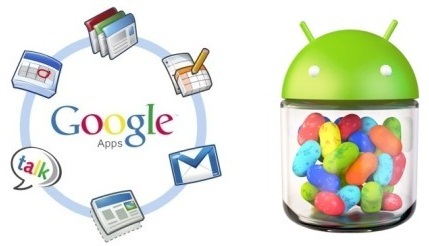 Google Apps and also refers to GApps Package for Android's New Custom ROM Firmware includes several official Google and Android Applications and Programs which come's pre-installed while user purchased a new Android device from store, but sometimes users lost built-in stock GApps Package on Android Smartphones and Tablets while installing the New Custom ROM Firmware, So technically every time users are required to flash and install GApps Package manually, Otherwise you won’t be able to use GApps on your Android device. So today we are sharing Direct Download Links of Google Apps (GApps Package) for Android's New Custom ROM Firmware which include; Android Oreo, Android Nougat, Marshmallow, Lollipop, KitKat, Jelly Bean, Ice Cream Sandwich, Honeycomb, Gingerbread, Froyo, Eclair & Donut mobile operating systems, that helps you to take a backup before you install a new Custom ROM on your Android device. Google Docs App for Android and many more.